Attending a #PNCamp is like going to an amusement park. You know you are going to have a great time. But everything that happens still manages to amaze you in a way you do not expect. 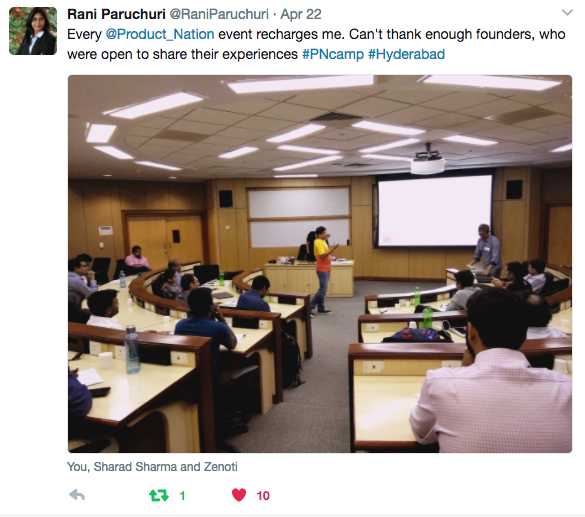 In this post, I will share my experience at the recently held #PNCamp3 at ISB, Hyderabad. This was the first Product Nation Camp held at Hyderabad and focused on early-stage B2B startups. A bit about my startup, RobusTest. RobusTest is a software platform that helps enterprises test mobile apps better and release them faster at a significantly lesser cost. We are currently 2 years old and work with 2 leading enterprises. I came into #PNCamp3 with a burning question – how do I do sales? In the last few months, my understanding of sales has improved through reading and through real experience. At #PNCamp I was looking forward to understanding enterprise sales in a structured manner. I did get some answers and I hope you too get a few takeaways from this post. 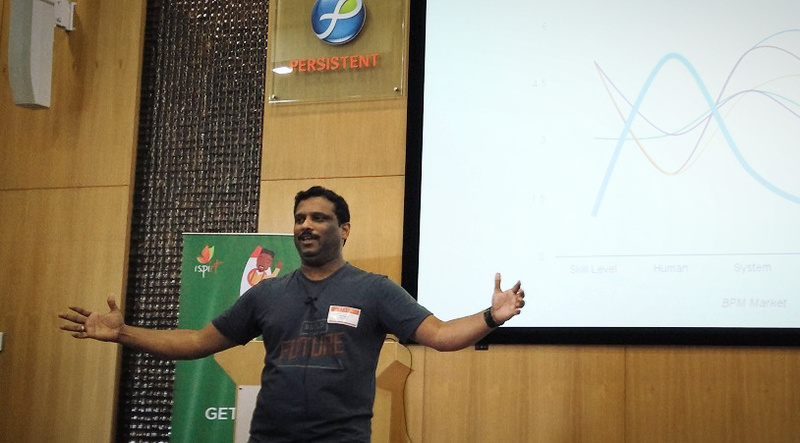 The day started with Jay Pullur of Pramati Technologies exploring the topic of building a global product business from his experience of building multiple enterprise products and successfully exiting a few. Incidentally I worked with Pramati Technologies for 8 years and closely with Jay on an enterprise product. Chefs would tell you that when making a dish, not only is it important to have the right ingredients, it is equally important that the ingredients be added at the right time and in the right mix. Jay explored both these facets – the appropriate constituents and appropriate team constitution – when building a product business. To start with, in the building phase, you need to get the technology and the product right. Once your product is ready, you will be selling and for that you need to identify your market and your customers. In the third phase, you will be looking at scaling for which you need to focus on people and capital. It is important to remember that as a startup grows through these phases, the focus on relevant ingredients increases but it does not imply the absence of other ingredients e.g. you will need people even when you are scaling, you will need the technology even when you are selling – just that when selling your focus should be on identifying the right market and customers and when scaling your focus should be on getting the right people and having enough capital. Jay also touched upon the different types of exits startups may have – an exit at the build stage is most probably an acquihire, an acquisition at the sell stage is most probably for the acquirer to get a foothold in the market that the product caters to. When you exit at scale, it is for the acquirer to gain a position in the market. Product Teardown is always a much awaited session because of the open and forthright feedback given by experts on existing startups and their working. Hats off to every startup which chooses to participate in this exercise. It is an acknowledgement of their willingness to confront their shortcomings and work on them. 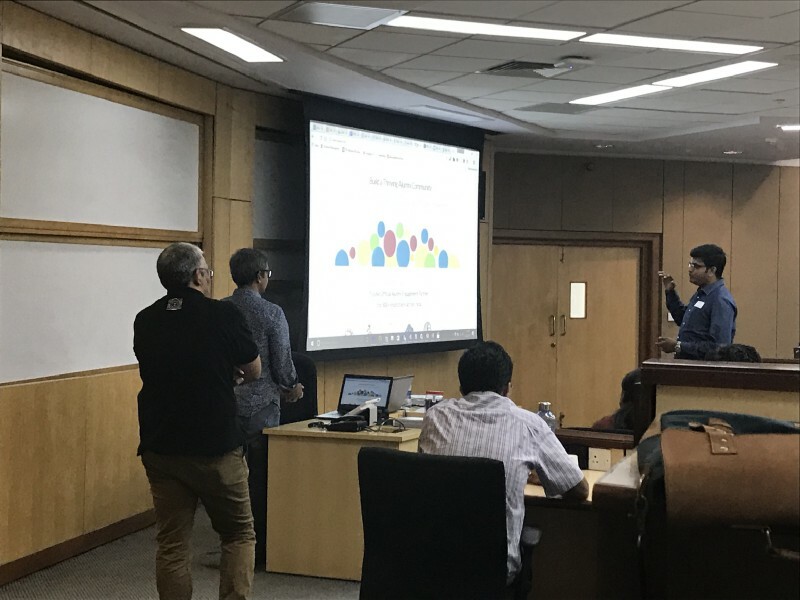 5 startups presented their product – UrbanPiper, EngineerBabu, Vaave, KnightTracker, DataKatalyst – while a crack team which spent considerable time and effort in researching the startup – right from its market space down to the minutest detail – gave feedback. As I heard the feedback given to each startup, I could see many mistakes/oversights in our own marketing and selling strategy. Following are some highlights from the product teardown. Are customers clear about what you are offering? Does your website clearly communicate what you are offering – to put it the right way which problem of theirs are you solving, how can a customer sign up or get more information, what they will need to pay, and many other such questions that go into “converting” a customer. Wait, are you clear about what you are offering? As engineers and technical geeks, most product startup founders have immense clarity about what they are building. However, most of the times we are found wanting when it comes to clarity on “which problem are we solving”, “whose problem are we solving” & “how are we solving it”. It goes without saying, that a product without customers is a hobby project at best. Is your website communicating your value proposition or confusing your potential customer? A rookie mistake most founders make when creating their website (or any other marketing channel) is to explain all features of their products with painstaking detail forgetting the one important part – the customer and how we intend to make his/her life better. In fact, it is not at all a bad idea to look at websites of the competition and learn a few things from them (or even copy the entire site, of course in a smart manner). Are you selecting your customer(s) or are you catering to everyone? When we are starting up, there is a great desire to include everyone in our customer set. This propensity, of course, ends up confusing every potential customer. It is, therefore, important to put in some thought into which customer segment to address.As is often recommended, identify your least resistant customers and go after them. One example that was cited was nature of business ownership. As a startup when the challenge is to close a deal as fast as possible, it makes sense to target businesses which are still run by the owner rather than corporates where decision making is spread out across teams and is, shall we say, bureaucratic. When identifying the target customer segment, it is helpful to pick as narrow a segment as possible. This helps a startup focus its efforts which is very essential considering that startups need to be very judicious with their resources. 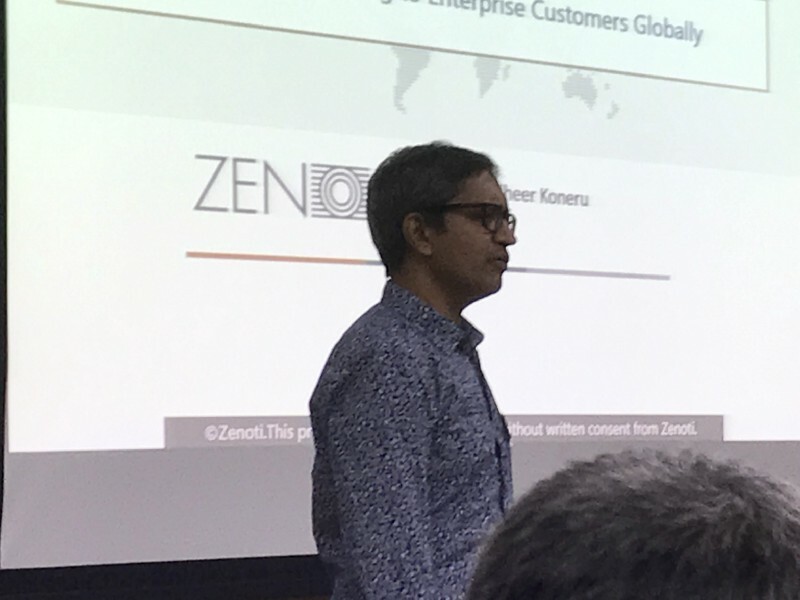 While Jay’s session focussed on building global enterprise products, Zenoti’s Sudheer Koneru delved into selling to enterprise customers across the globe. Zenoti is a cloud-based software for spas and salons and is a successful SaaS product from India. One of the first things that Sudheer emphasised on is that if we are targeting the global market (and we better know if we are), then all the messaging including website, language, photographs & product demos should be geared towards creating the impression that we are an international player. 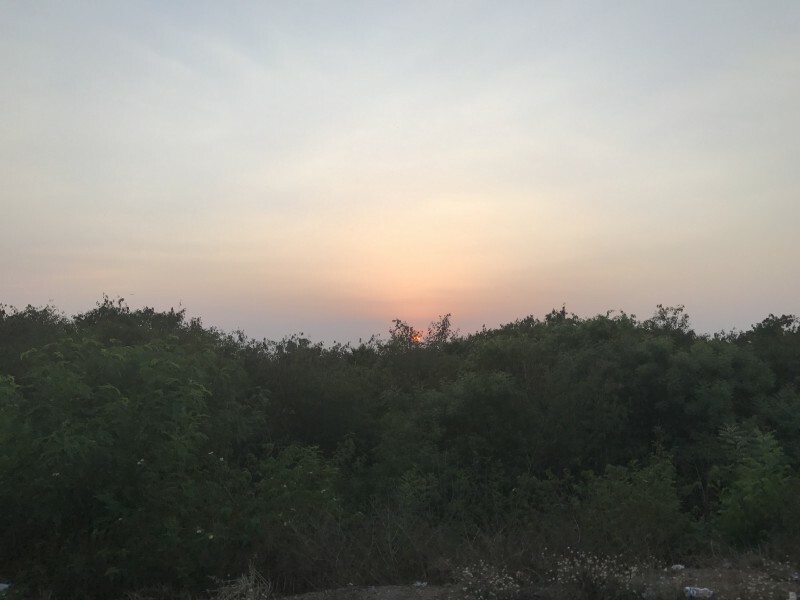 On the topic of Customer Development, Sudheer narrated an impressive anecdote on how he and his team went about studying their customers’ problems. They literally got themselves massaged and manicured into customer development! They took services from different spas and salons and simulated multiple real-life scenarios. This exercise provided important insights into issues that the current offerings posed. It empowered them to talk to their customers in a language they spoke and hence, connected instantly with the customer. An important piece of advice that Sudheer gave was to avoid selling to customers and rather focus on asking the right questions to understand their problems. Of course, it is important to ask the right questions. So instead of asking “would you like a product which does this and this”, one could ask “how do you currently do ….”, “how much times does … take ”, “how often do you create reports”, “how do you decide if you need to ….”. The answers to these questions will help one understand how to solve the customer’s problems. Last but not the least, I am grateful to the entire team behind #PNCamp3. Thanks a lot to the team at iSPIRT – Avinash, Chaitanya and Sainath, to Sudheer and his team from Zenoti (Mrityunjay, Anand, Bharath) which was present in full force and helped organize the camp, to Jay Pullur & Raunak (Now Floats) for their presence and guidance. Of course, thanks to ISB for being an amazing venue. 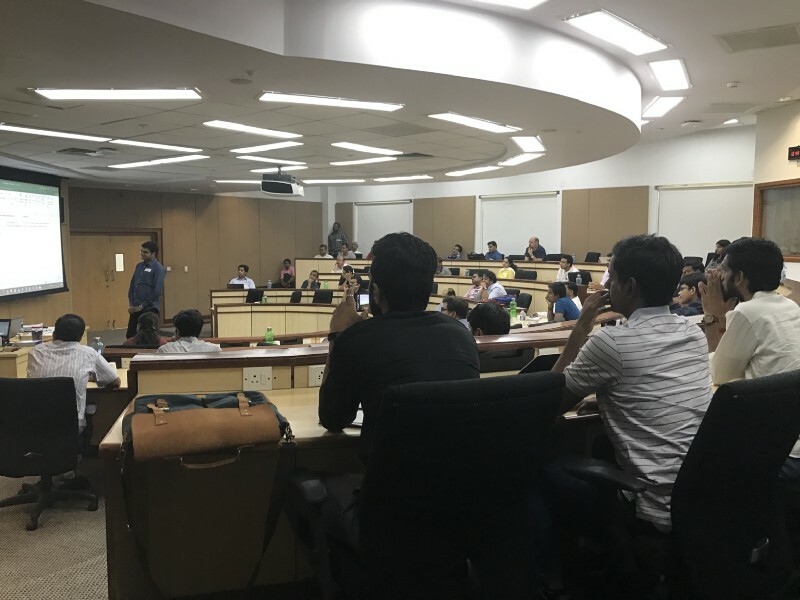 #PNCamp Program, an iSPIRT initiative, is growing the Indian StartUp ecosystem by connecting founders and executives from high potential startups. We work with successful VCs and entrepreneurs to source the most promising entrepreneurs and help them on their journey. Once we have identified these startups, we build a multi-dimensional profile of each startup using surveys and algorithms developed by Stanford and Duke Researchers. Using this data we connect founders with the resources they need, link them with mentors who can help them grow, and introduce them to peers who can provide advice. In collaboration with iSPIRT selected members are invited to workshops to build their networks and accelerate their startup’s growth. PNCamp Program is a living laboratory whose aim is to help startups accelerate the Indian startup ecosystem with cutting edge innovation science. PNCamp is seeking a program evangelist to join our growing team. The Project Consultant will be responsible for building relationships and trust with promising StartUp founders and executives. You should have a track record of getting things done with minimal supervision. In collaboration with our partners, your will be responsible for identifying, then emailing, calling and meeting with potential members. While membership in the program is free, this role will require you to convince founders and executives why they should join as members. Once they join, you will serve as a “data concierge” helping the startups provide the information we need to better match them with resources and connections. You will also be responsible for the day-to-day operation of PNCamp program, making sure emails are answered, tweets sent out, thank-you gifts mailed, and that our team is on the same page. People skills are a must. Entrepreneurial mindset is a must. This job provides you with an exceptional opportunity to get to know the most successful StartUps in the Indian ecosystem. You will be the first full-time team member of the PNCamp Program team in India. The rest of the team is US-based so flexibility on early/late phone calls is required. Comfortable with spreadsheets and love to dig into data. You may not know how to use SQL but you would not be afraid to learn. Experience organizing and running events. Programming experience and Design skills a bonus, but not required.